Home » Forex Trading Strategies » Forex scalping…is it worth it? Scalping is high-frequency trading in which forex pairs are bought and sold on the basis of real-time market analysis. Scalpers’ goal is to make profits as they purchase or sell currencies and hold positions for just short periods. Momentum is what they are most commonly looking for in a financial instrument. Each trading day welcomes a number of trades, and scalping is based on certain signals which are derived by the use of technical analysis charting tools. These signals are numerous, and together they form a set to help traders take decisions when they see signals pointing in an identical direction. In scalping, market players are on the lookout for many trades each of which yields a comparatively small profit. Forex scalping systems can be manual or automated. In manual systems, traders are on the search for signals they can interpret to aid their buying or selling decisions. In automated systems, traders use a software that looks for specific signals and then interprets them. In the highly liquid forex market technical analysis is an indispensable trading tool. Scalping can be just as useful a strategy for retail forex traders. 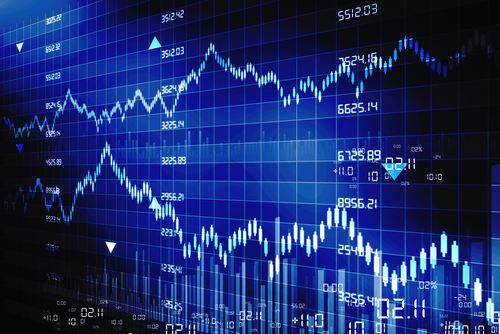 One of the most popular platforms allowing automated trading is Meta Trader 4 (MT4). The latter gives users the chance to trade with forex robots, named in this software, expert advisors (EAs). There are a number of EAs on the market, both free and paid, which are programmed to trade according to different sets of rules. Making an expert adviser of your own is not difficult and is a pretty good decision for someone who wants more flexibility and freedom in testing strategies of his own. Although scalping might look very tempting, it has disadvantages which people should be aware of before resorting to this forex strategy. First of all, scalping is not tolerated by a number of forex brokers. That is why scalpers are often running the risk of their trades being reversed. Secondly, slippage is a distinct possibility when scalping is done on important news and economic data releases. The former means a lag in orders’ execution which can vary in length, between several seconds to several minutes. As it was stated at the beginning, scalping is high-frequency trading. That is why slippage in most cases can result in sizeable losses and fail the strategy’s success. Scalping is often done by the means of automated trading. It is very difficult to find an expert adviser that really works. Trading errors, coupled with internet problems, can cost forex players dearly.